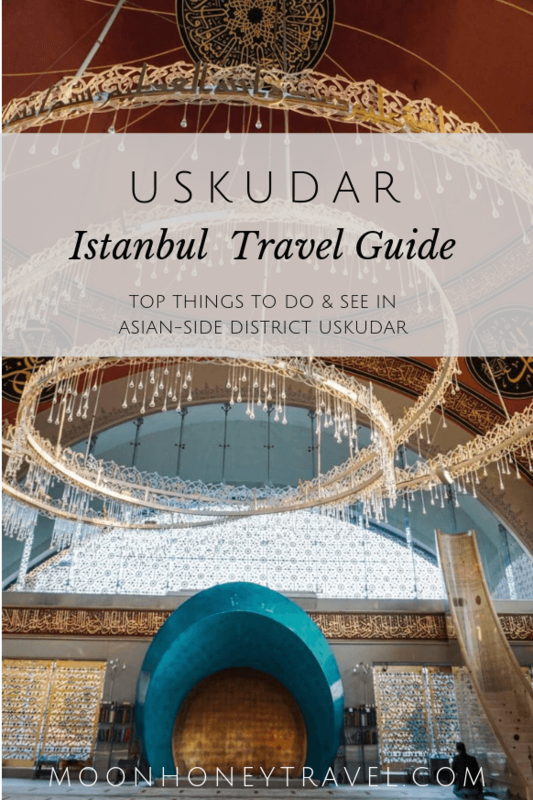 The district of Uskudar (properly spelled Üsküdar) is located on the Asian-side of Istanbul along the Bosphorus Sea. Largely residential and densely populated, Üsküdar is Istanbul at its most authentic. It offers visitors an exciting opportunity to get off the tourist track. You’ll see men enthusiastically playing rummikub inside gentlemen-only clubs, women sitting together along the rocky seawall, and more mosques than you can count. Though far more conservative than other districts we explored, we always felt safe and welcome anywhere we ventured. A pet-sitting gig brought us to Üsküdar for 2 weeks, giving us the unique chance to explore this district slowly. Here, we uncovered some of Istanbul’s most phenomenal hidden gems. From modern mosques and libraries to traditional markets and hamams, this Asian-side district is abounding with memorable sites. 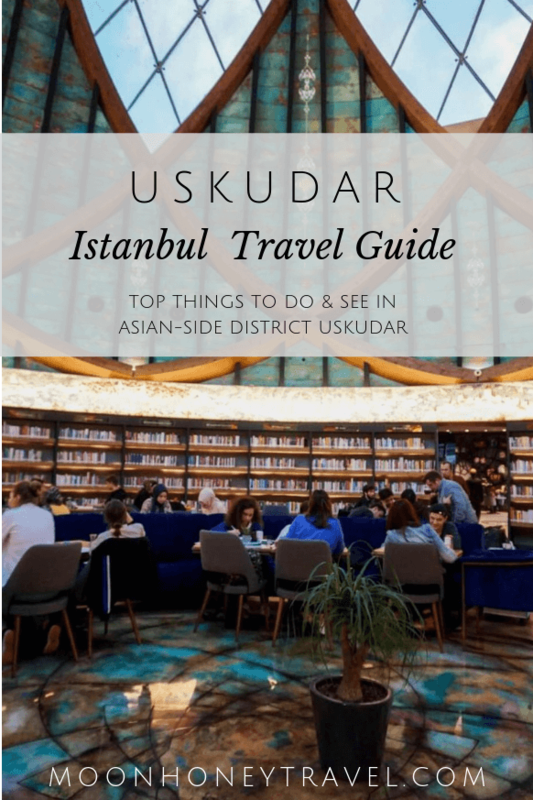 For the purpose of this post, we’ve compiled the absolute best things to do in Üsküdar, so that you can make the most out of your visit. But First, Where is Uskudar? The district of Üsküdar is on the Anatolian (Asian) side of Istanbul along the Bosphorus Shore. It neighbors the districts of Beykoz, Kadıköy, Ümraniye and Ataşehir. It’s situated directly across the European district Beşiktaş. And, how do I get to Uskudar? By Ferry: There are direct ferries to Üsküdar from Beşıktaş Iskelesi, Kabataş, and Eminönü İskelesi. Marmaray: There’s a rail tunnel under the Bosphorus strait, that connects Üsküdar with the European Side. This is the fastest way to travel between Üsküdar and the Fatih district and Sultanahmet. By Taxi: You can also take a cab to Üsküdar. Make sure your driver turns the meter on before you start the drive. You’ll be charged an extra 10 Lira for a bridge toll, if you cross the Bosphorus Bridge, Temmuz Şehitler Köprüsü. Nevmekan Sahil is a multi-functional building that serves as a café, art gallery, library and study space. 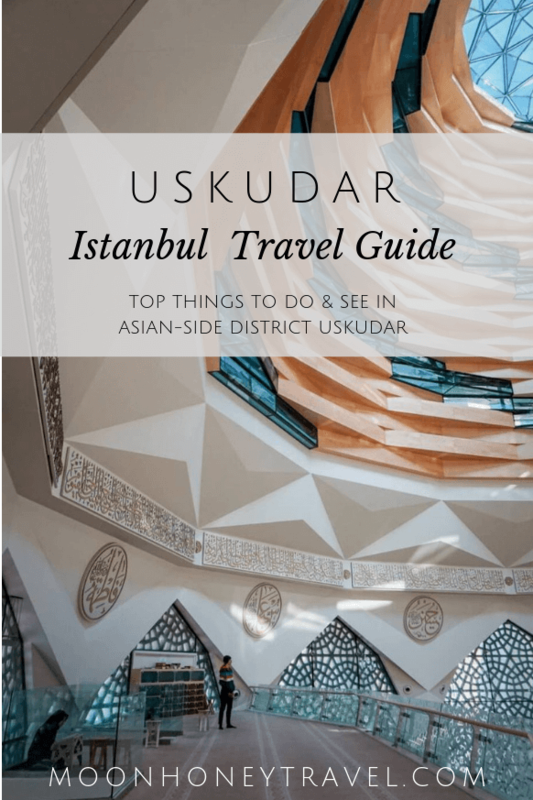 It’s easy to miss, so definitely mark your map with this top place to see in Üsküdar. When you walk in, you’ll first see a café and a seating arrangement. You’ll also see an art exhibit wrapping around the central room. The heart of Nevmekan Sahil is a gorgeous library with a spectacular domed ceiling. To say it’s memorable is an understatement. Lined with books, this circular-room provides ample space for reading, studying, eating and chatting. If the architect’s objective was to inspire students to study, he/she achieved it. 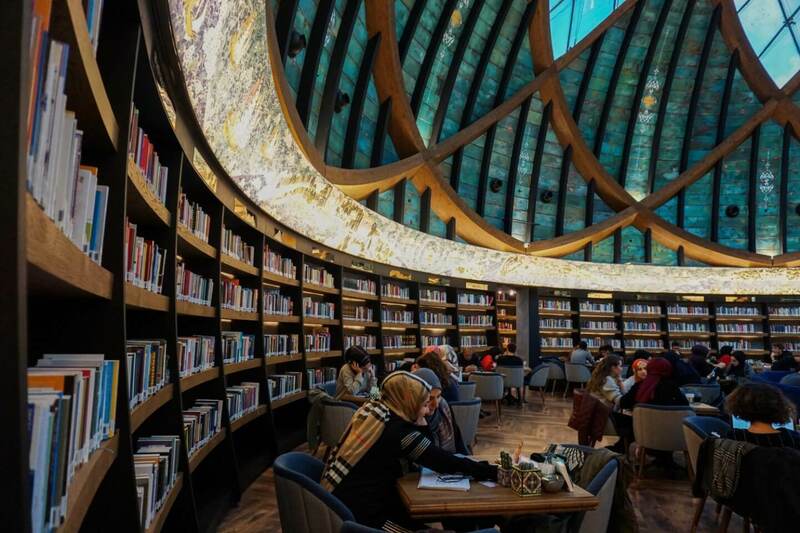 This library is easily one of the coolest secular places in all of Istanbul. Bring your book, or simply grab a bite to eat at the café. Two cafés are positioned at opposite ends of the main floor. The promenade along the Bosphorus offers an unbeatable sunset view of Istanbul’s skyline. Minarets penetrate the sky and the sun seems to sink into Fatih district. 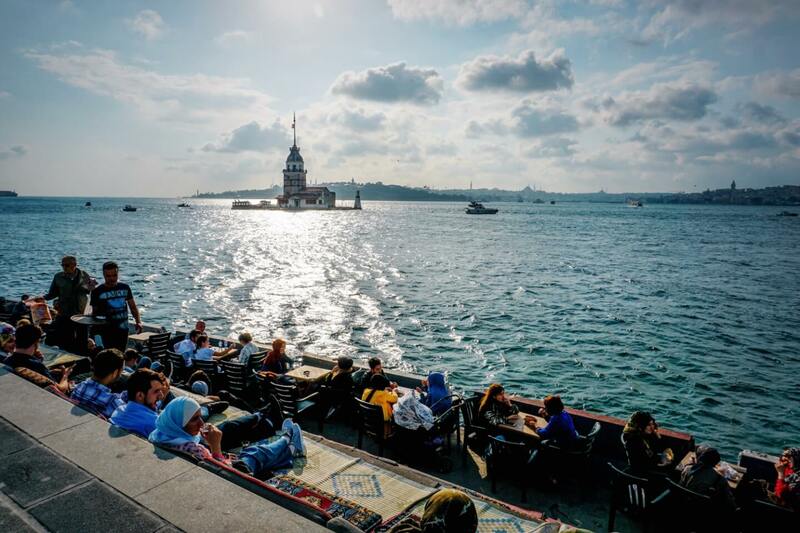 As you walk along the choppy Bosphorus sea, you’ll see people fishing, eating lunch, and socializing. We recommend walking in the direction of Maiden’s Tower around sunset. This is the most popular activity in Üsküdar for locals and tourists. Mihrimah Sultan Mosque (Iskele Mosque) – This Imperial Ottoman mosque located in Üsküdar Square was designed by the Imperial Architect Mimar Sinan and completed in 1548. Şemsi Paşa Camii – This waterfront mosque is unmissable as you venture south. There’s an entrance facing the sea, and one facing the street. Şemsi Paşa (1580) is another Imperial Ottoman Mosque designed by the architect Mimar Sinan. Inside, you’ll see beautiful stain glass windows. Yeni Valide Çeşmesi – This mosque complex is particularly noteworthy, because of the ottoman bird palaces adorning its exterior. Nevmekan Sahil – The stunning library and art center (explained above). Maiden’s Tower (Leander’s Tower) – The Maiden’s Tower is located on a small island in the middle of the Bosphorus strait. It’s history can be traced back to the ancient Athenians. However, much of its historical narrative is embellished with legend. This iconic tower is accessible by boat. There’s a restaurant and café in the building. Alternatively, there are cafés along the shore that offer outstanding views of the tower. Dönerci Hamdi Usta – This popular restaurant serves doner kebab in wraps, or plated dishes. Try the İskender kebap, Lavaş Döner Dürum and don’t miss out on the Katmer dessert! Located at one of the entrances to Karacaahmet Cemetery, Şakirin Mosque gets our vote for top place to see in Üsküdar. It’s a bit out of the way, but worth the trek, or taxi ride. 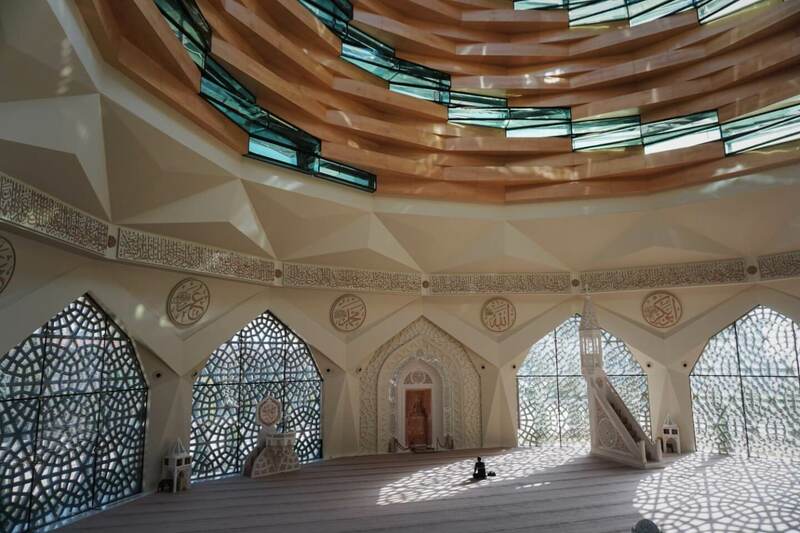 Built in 2009, this modern mosque has a whimsical interior that was imagined and decorated by the female designer Zeynep Fadıllıoğlu. I repeat FEMALE DESIGNER. 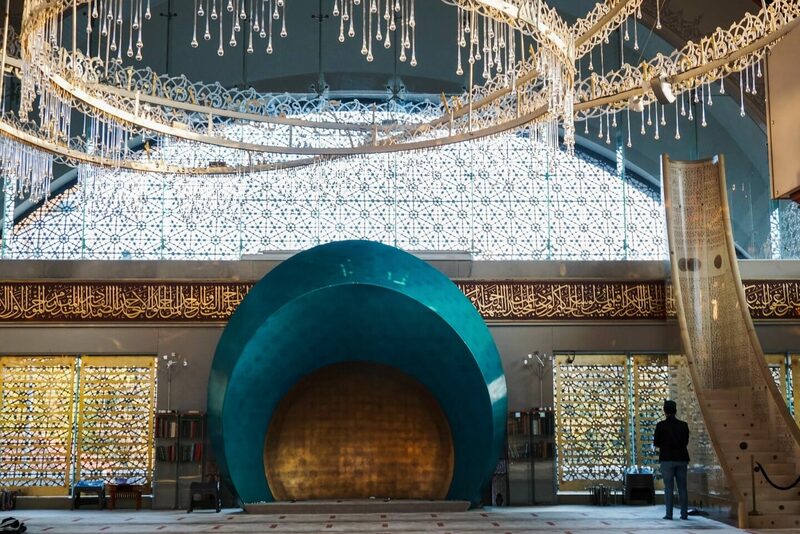 Zeynep Fadıllıoğlu is the first woman to design an interior of a mosque!!! The exterior is humble, but don’t let that fool you. The metaphorical pot of gold at the end of the rainbow is waiting for you inside. Before you step inside, head to the courtyard and take in the unique shell dome made up of aluminium scales. In the middle of the courtyard, there’s a solemn looking pool that functions as a fountain. Upon entering, you’ll be struck by the deep teal and gold mihrab. A mihrab is the semicircular niche in the wall that indicates the direction of the Kaaba in Mecca and thus the direction Muslims should face while praying. This organic-shaped mihrab looks like a modern take on a mermaid shell, or fantasy throne for a postmodern monarch. In other words, it’s pretty epic! The next thing you’ll notice is the three-ringed chandelier, which manages to be both elegant and playful. Crystal teardrops hang from its rings, adding a whole level of enchantment to the interior. Etiquette: Women and men enter the mosque from separate doors. Before entering the building, take your shoes off. There are cubbies for shoes as soon as you enter. The floors are segregated. Men stay on the ground floor, and women occupy the upper floor. We’d argue that the Marmara University Faculty of Theology Mosque is Istanbul’s most beautiful mosque. Situated between Marmara University and Capitol Shopping Mall, this modern mosque (2015) steals the limelight on Mahir İz Caddessi. The standout exterior looks like the embodiment of advanced geometry, poetry and modern art. Luckily, the interior is just as divine. The dome is composed of glass and wood blocks that spiral up to the ceiling. 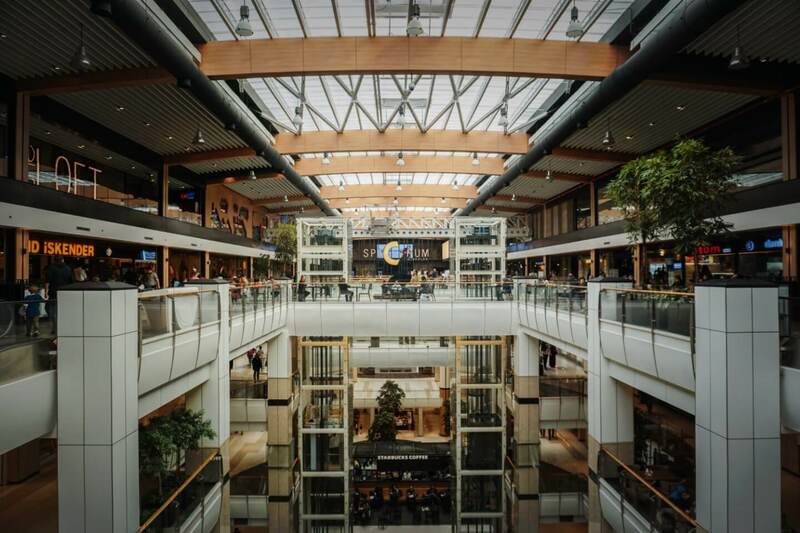 The glass ceiling allows soft light to stream in, imbuing the whole space with peacefulness. It’s poetic. The stencil-like facade allows more light to enter the sacred space, creating reflective patterns on the carpet. You certainly don’t have to be Muslim to appreciate the luminous design of this magnificent building. Bonus Tip: There’s a huge cultural center beneath the Mosque, containing a café, a book store, lecture rooms and more prayer space. The design is flawless. Etiquette: Women and men enter the mosque from the same door. Before entering the building, take your shoes off. There are cubbies for your shoes as soon as you enter. The floors are segregated. Men stay on the ground floor, and women occupy the upper floor. Don’t worry ladies, the view is better from the balcony! 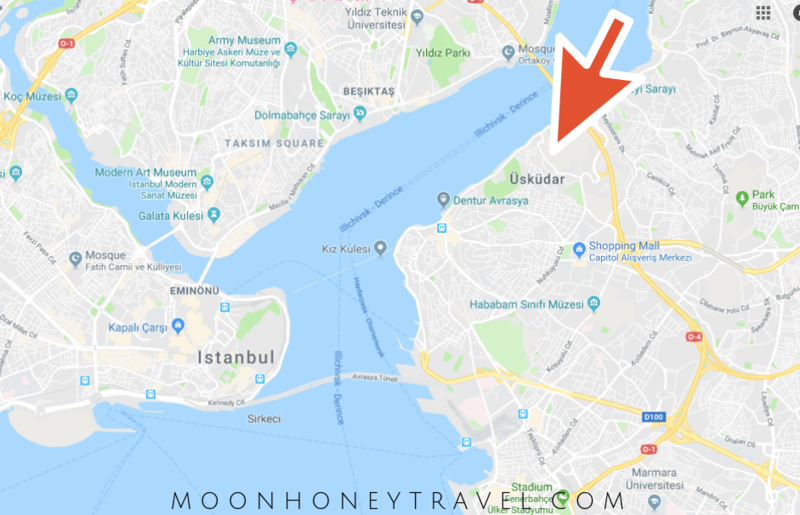 How to get here: Assuming you’re at the Bosphorus, go to the Üsküdar metro station. Take the M5 (Purple Line) to Bağlarbaşı Station. From Bağlarbaşı, it’s a short walk up Mahir İz Caddessi to the Mosque. If you visit the Marmara University Faculty of Theology Mosque, head next door to the Capitol Shopping Mall for lunch and shopping. All of our favorite Turkish stores are conveniently located here. This might not be the best way to spend your day in Uskudar, but we’re not judging. Tadında Anadolu – This lokanta-style restaurant has a selection of ready-made mezes (appetizers), salads, warm dishes and soups. They also sell artisan cheese and food products. We highly recommend eating here. Big Chef’s – This popular chain restaurant has western food and Turkish food. We loved their köfte (meatballs), pastas, salads, and fresh smoothies and juices. 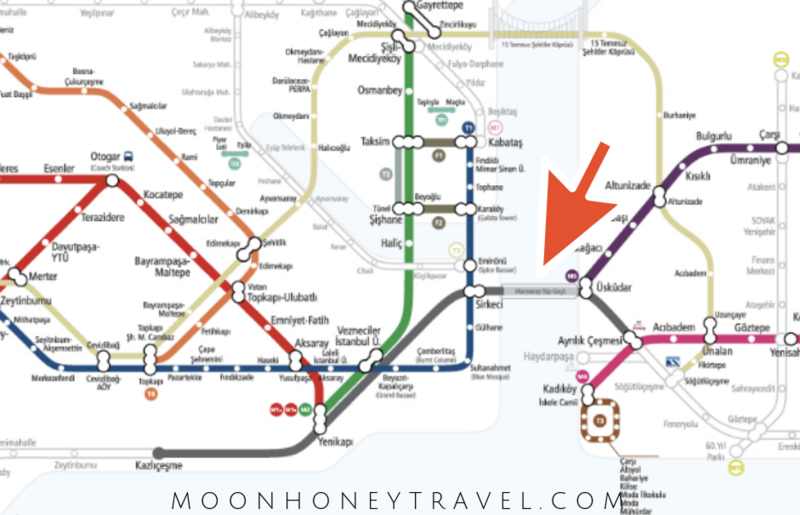 How to get here: Assuming you’re at the Bosphorus, go to the Üsküdar metro station. Take the M5 (Purple Line) to Bağlarbaşı Station. From Bağlarbaşı, it’s a short walk up Mahir İz Caddessi, just past the Marmara University Mosque. Üsküdar Balıkçılar Çarşısı is an animated marketplace in the heart of the shopping area near iskele (dock). You’ll find fish, dried fruits and vegetables, spices, breads and more. Sellers and customers enliven the fish market with their bargaining voices. Beylerbeyi Palace (1861-1865) is located along the Bosphorus, close to the Temmuz Şehitler Köprüsü bridge. Serving as the summer residence of the Sultans and a house for foreign diplomats, Beylerbeyi was built to impress. 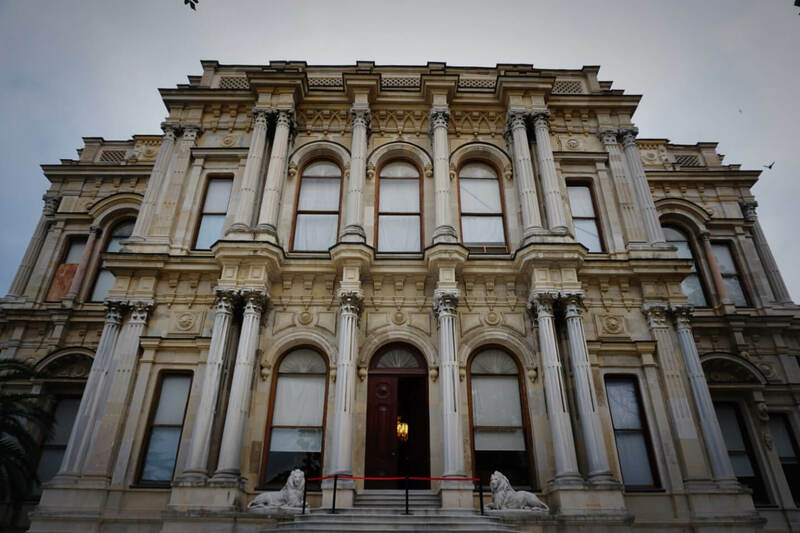 We loved visiting Beylerbeyi Palace, because there was no line, barely any other people on site, and the audio guide was easy to follow. It’s hard to find palaces in Istanbul that aren’t overrun by tourists, but this is one of them. The interior furnishings are grandiose, but also purposeful. From exotic carpets to consoles inlayed with mother of pearl, each piece of furniture is perfectly placed. The ceilings are all adorned with either floral motifs, nautical-scenes or Quran scripture. And, each room features a unique French Baccarat chandelier. However, the most unique room is the saloon on the first floor. A large water basin occupies the center of the saloon. Though the basin is dry, you can just about imagine the sultan swimming around his pool. Visiting Hours: Tuesday – Sunday (9:00 a.m. – 5:00 p.m.). Closed on Mondays. Wow this place looks awesome. Always appreciate blog posts sharing hidden gems in popular countries. The architecture looks amazing and reninds me of our time in Uzbekistan last month. Hi Nicola! There are no tourists here, or if so, very few. 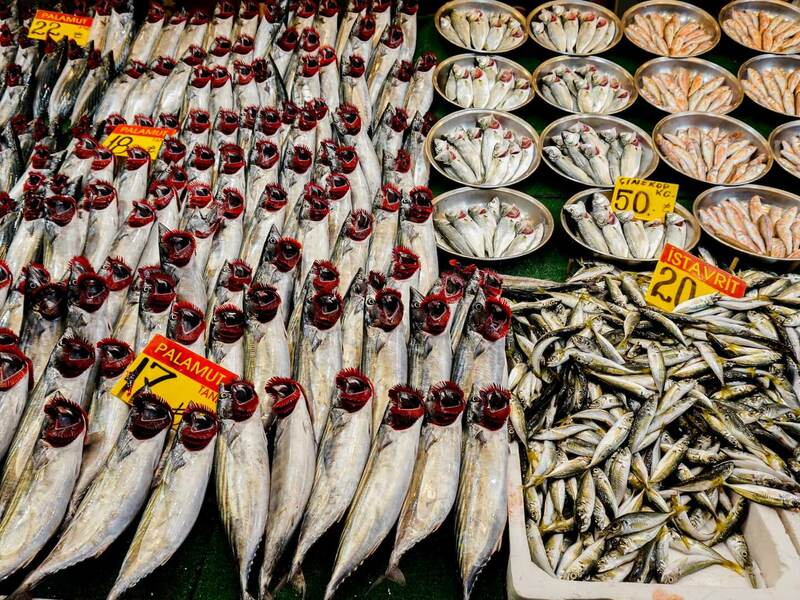 Most Istanbul tourists, who want to explore the Asian-side, head to Kadikoy (Moda). This is a stunning and informative post. I'd only been to Istanbul for a weekend and it way way too short-- will certainly refer back to your site when I go back. Thank you Courtney! It real is a great city - we're going to have a hard time leaving. Honestly, I didn't have an idea where Uskudar was until I came across your post. Very informative and definitely a place to be added to the list. Would love to visit some day. Thanks for highlighting Uskudar. We love our neighborhood and feel like it's close to the tourist destinations but still in a real neighborhood with tons of history and culture. This is beautiful really! 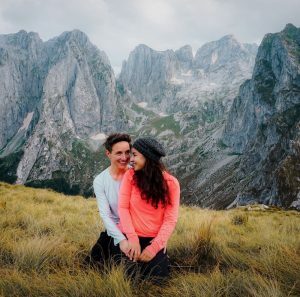 I have been thinking of visiting Turkey for long now and this is an excellent guide for the future!